This is our second time joining The Smoky Mountain Jeep Club. 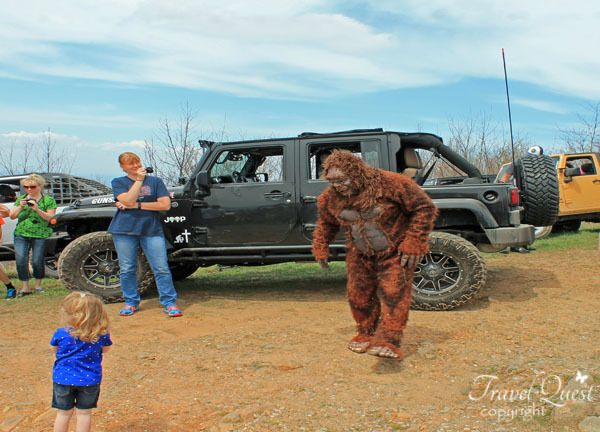 And today were heading to a scenic journey to the Citico Creek/Bald River falls area and ride to the top of BIG FOOT PEAK at 3,900 feet elevation to hunt for the elusive Sasquatch of Tennessee. 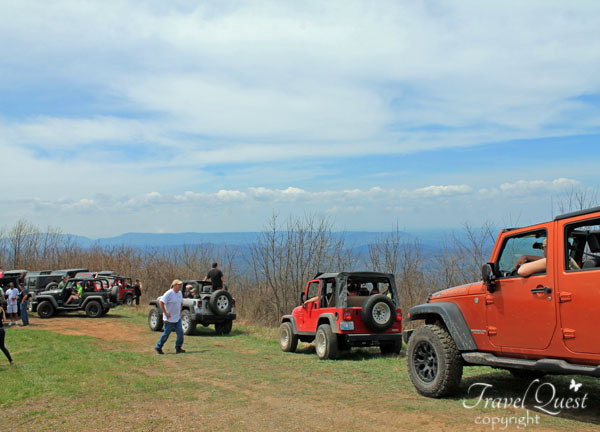 The Peak is one of the highest spots accessible by Jeep. 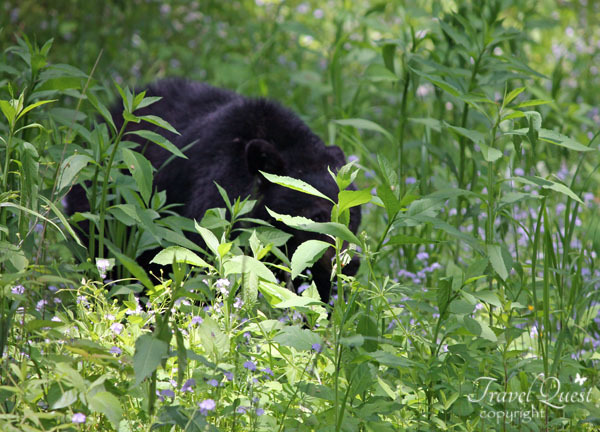 This ride is 110 miles round trip from the start point, and includes stops at Tellico Plains, Big Foot Peak and Bald River Falls. This is an all day event! Our first stop is at Tellico Plains Visitors Center for a bathroom break. From there we drove up the Cherohala Skyway onto back dirt roads into the winding trails to the summit of Big Foot Peak. There is a park and breath taking view, eat and socialize. Big Surprises in store for all on this ride! After lunch we drove down to Bald River Falls. After the falls whoever is interested can stop at the famous Citico Drive-inn for ice cream. At this point the ride ends and Jeepers can go their separate ways. 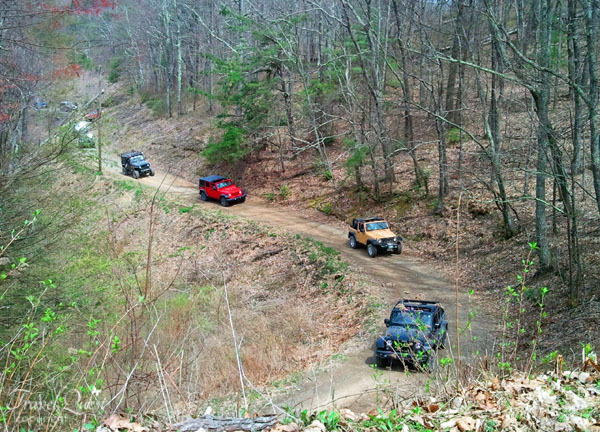 Jeep convoy's are a lot of fun! Total of 86 Jeeps join the road trip. Fun to watch people mesmerize seeing group of Jeeps driving together. That sounds like a great adventure. I would love to go on a road trip like this. Awesome trip you had... hope you had fun! Looks like an exciting trek right at the peak. Lovely captures too! Sure you've had fun. Thanks for the beautiful share. 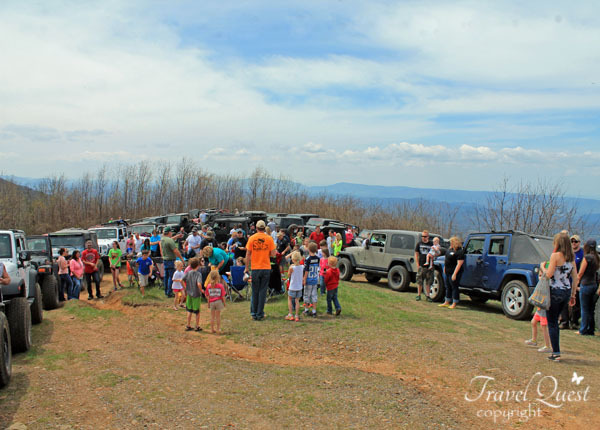 All great photos and must be awesome to be in a huge JEEP group ride. I'd be running the other way if I see a bear, wow how near were they? Sounds an awesome adventure except for that Mama Bear and cub. This is so cool Sis. I only watch this on TV. I hope you did not encounter Big Foot. What a beautiful place too. My family will love to explore that kind of scenery as well. 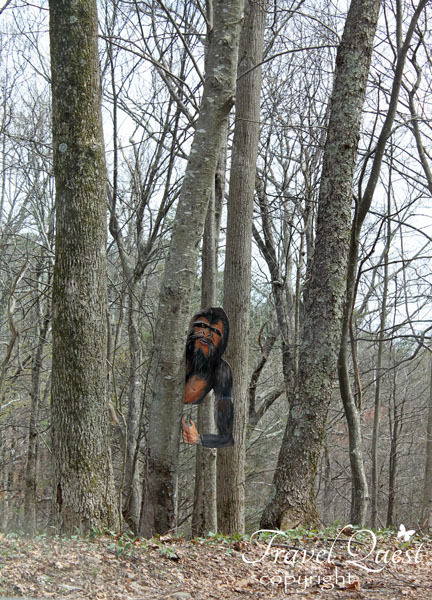 that bigfoot picture on that branch startles me..i thought at first for the quick look was a real one.. This is quite an adventure! I've never experienced an event like this yet. I wish my family can take a similar adventure. I'm sure it would be something all of us can appreciate.